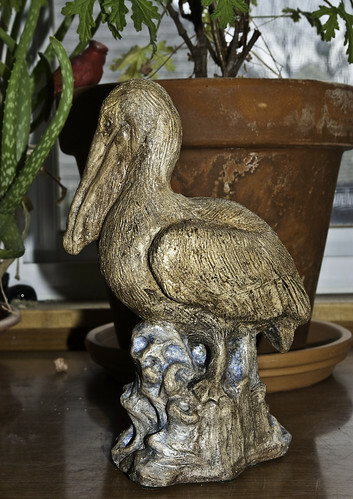 The pelican is done. He came through firing without cracking or exploding, which is always a happy thing. 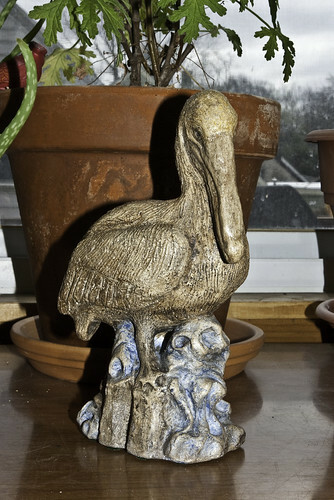 I used a pigmented wax finish on him like the others and think he looks rather fine. He’s about 8×6 inches. 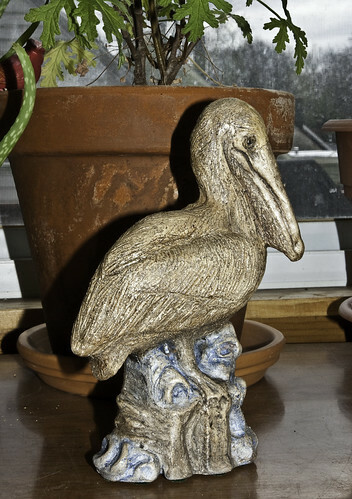 This entry was posted on Wednesday, February 24th, 2010 at 12:28 pm	and tagged with art, clay, pelican, sculpture, waterbirds and posted in Uncategorized. You can follow any responses to this entry through the RSS 2.0 feed.